You’d think by now content companies, especially the large portals, would have figured out a better way to deliver online video ads in a compelling manner. But if Yahoo! News is any indication, the world of online video advertising has a long way to go before this business grows like we all want it to. Delivering online video ads is still a terrible user experience with un-targeted ads, of different lengths, too often in the content whilst taking away all of the user control. 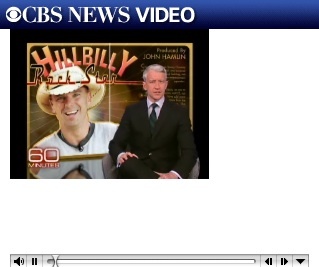 If you want to see clips from the show 60 Minutes, Yahoo!, through a deal with CBS, has created a portal at http://60minutes.yahoo.com. While the interface of watching and finding videos is decent, the entire business and delivery of online video ads is horrible. I chose to watch the story about online gaming and a window popped up with the video and nine thumbnail videos below the main window. Before the start of the video, I was delivered a 30 second ad for Netflix. While the ad was playing, nothing on the website was clickable, forcing me not to be able to click on any other links and disabling all content on the site. And once the ad was over, the video that played was only about a minute in length. What Yahoo! has apparently done is taken the 60 Minutes segment on online gaming, and cut it up to nine one minute segments. So when a user clicks one of the other thumbnails to watch the second section of the video, they get another ad, again for Netflix, again 30 seconds in length before you get to watch a video that’s 48 seconds long. And if you want to watch all nine segments of the show, get ready to also sit through nine ads. Adding this up, I have to watch nearly four minutes of ads, to see a segment of content less than nine minutes in length. And the ads are completely un-targeted. I got 6 Netflix ads, and 3 ads for online trading. So why is there no ad system in place showing me different ads? Does Yahoo! really think showing me the same ad six times is what consumers want or is effective for the advertiser? And why were some of the ads 15 seconds in length and others were 30 seconds? In the same piece of content you’re delivering two completely different ad lengths which is a horrible user experience. I get a fifteen second ad which I then get use to with this content, only then to be delivered one twice as long when I watch part two of the same piece of content. And even if you let all nine of the videos play back to back playlist style, Yahoo! still puts many ads before each of the segments breaking up all of the content into way too many pieces. If a segment like 60 Minutes is under nine minutes in length, it should not be broken up into nine pieces. And why is it that the 60 Minutes episode that is on the Yahoo! portals home page, is one from close to a year ago and not from the episode that aired last night on TV? The story of online gaming was one I saw on TV at least six months ago. But the one I saw last night on TV is no where to be found on the Yahoo! website. To find it, I have to go to a different website. And not the CBS Innertube website where you would think it would be since that is where you can watch full-length CBS shows, but rather you have to go directly to the 60 Minutes website on CBS.com. And once there, while I can find the video, see the screen shot on how it plays. It is embedded into the page, in a window that is larger than it actually plays in. But I guess I can’t complain since while the video window is super small in size, it is free of ads. For all the talk of how big the online video industry is, it’s not even going to be a billion dollar industry this year, compared to TV advertising which is expected to do over $22 billion this year. While many times different segments of the online video industry say that the business models are what’s stopping the growth of an industry and not the technology, when it comes to online video advertising it’s the opposite. Online video advertising technology still does not provide the level of functionality, standards, reporting, targeting and interactivity that is needed to drive this business forward a lot faster. The technology needs to get fixed before this business can really start to take off.